More than ever before, engines across the world are becoming more efficient with better gas mileage while not sacrificing performance…and we’re not just talking about those small 1 or 2-cylinder jobs either. No we mean the 6-cylinders and even the big boy V-8s as well. But what magic are the manufacturers using to achieve such a hefty cocktail of efficiency and power? 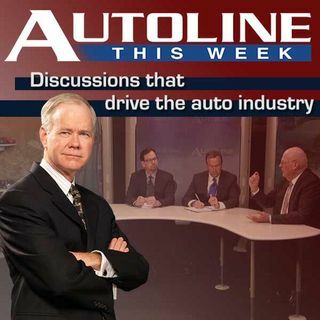 On today’s Autoline John McElroy is joined by three experts who drive the engine business at the Detroit Three. Jamie Strandring ... See More is in Powertrain Integration for Chrysler while Jordan Lee is the Chief Engineer of the Small Block at General Motors and Mazen Hammoud is from Ford’s Powertrain Electrification department.